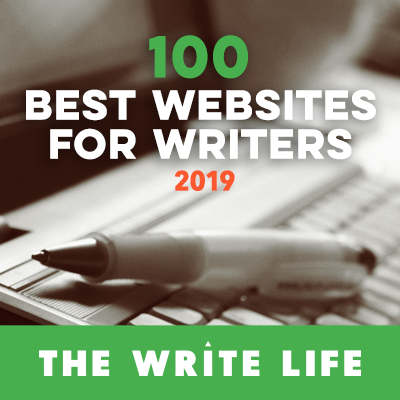 This is a post by Novel Publicity President, Emlyn Chand/ I’ve already told you how important it is for aspiring writers (and successful ones too) to build their online presence by keeping a blog. I’ve even told you 11 ways to get the most out of your blog, thus maximizing your visibility. What I have yet to tell you is how to blog. How to blog—that seems like a huge topic, right? Well, it is. That’s why I’m starting a whole series of posts to teach you what I have learned. I’ll also talk about how to use other social media venues like Twitter, Facebook, YouTube, StumbleUpon and the like. To get us started with a bang, I’m going to pit WordPress and BlogSpot (the two primary blog sites) up against one another on ten points. For each category, I’ll declare a winner. At the end, we’ll summarize each blogging platform and discuss which will be the better choice for you. Full disclosure: I keep my primary blog on WordPress, but I started a second mini blog on BlogSpot so that I could get acquainted with both platforms before making my call. Site Stats Provides a list of search engine terms that landed viewers at your site, lists incoming links and shows you which of your links viewers are clicking on, shows how many people are sharing your posts, which posts they are sharing and through what medium, displays daily hits, weekly averages, and the rate of change Provides bar graphs and pie charts as well as a map of your audience, tells you which operating systems and browsers your audience uses, sorts referrer links into larger groups (that can be pulled apart)—i.e. all Facebook referrals regardless of the exact link Tied! Traffic The use of tags and categories makes it easy for other users to find your site, the active forums are also a good way to drive traffic Does blog tours and promotes interaction among bloggers, also creates fun and customizable profiles for your site and when you visit others Tied! WordPress lends bloggers a more professional feel to their sites. Its spellcheck feature alone makes it the better choice in my eyes. WordPress may require a basic working knowledge of web design and html, but if the blogger is a quick learner, these skills should not take long to acquire. BlogSpot is more straightforward and has a greater ease of use. If the blogger desires the use of widgets, flash, or java, BlogSpot may be the better choice—the biggest downfall of WordPress is its relative widget unavailability. So, as a blogger, you’ll need to clearly define the goal of your site, how much work you are willing to put in, and how professional you would like it to feel. WordPress does take longer to set up but is easy to navigate once you have it going. If you want to spend minimal time figuring out how to blog, BlogSpot is the better choice. I’d be happy to answer any questions or to analyze the two platforms on a criterion that I have not already listed. I don’t think Blogger allows you to host the blog on your own domain. You can do that with the WordPress engine – and I do. That alone makes WOrdpress the winner for me. I didn’t even think of that since I didn’t want to buy a domain name under Blogspot–I had already done that under WordPress, thank you. I think for serious bloggers, WordPress is the absolute better choice. For amateurs who just want to have fun and don’t care about promoting themselves or their businesses, then BlogSpot makes it simple. It is possible to have Blogger push the blog out to your domain name, but you lose some options on the theme and formatting. For example, http://www.yoursite.com would link to your main site, and blog.yoursite.com would link to the blogger pages, but the address bar would show blog.yoursite.com/some/blog/post.html. WordPress is by far the most professional platform, IMO, but it isn’t cheap. Even if you sign up for a free WordPress blog, they charge you to redirect using the CName. Blogger allows CName redirects for free, which is what I’ve done with mine. You can host it on your own domain. One of our authors is doing that with Blogger. It’s hosted at Google, so every blog will be indexed immediately by Google. That’s true. I’ve been getting traffic on my BlogSpot from something called “Pingy Web,” a source that never feeds into my WordPress page. Having tried both, I’ve found Blogger more intuitive (but perhaps that depends on how your intuition works). Given that both are perfectly adequate for getting your content out there, I’d go for the easier option every time – which for me means Blogger. After using both I find that the actual writing and text manipulation is easier in WordPress. In Blogger inserting multiple pictures and text was a royal headache. Having easy access to the html on wordpress makes that part easy, when something isn’t behaving like irregular spacing or not being able to insert text where you want you can flip to the code and find the problem. I agree that if the user understand basic html, then WordPress is the better choice. If she doesn’t, then BlogSpot may offer greater ease of use (or the user could just learn html). I use WordPress. it was not my choice, I got a domain name as a gift from my brother’s company, and they decided to go with WordPress, but I have no complaints with the company. I think they do a very good job. I’m glad to hear you have found your home with WordPress too. It seems that many of us writers prefer it to BlogSpot. I want to take my writting more seriously and get my name out there. Would it benfit me to switch my blog from Blogger to WordPress? I actually have an account on both. I use wordpress for my novel and my blogger account for everything else. Is it worth the headache or will I do “ok” with blogger? I think if you are already established on BlogSpot, you might want to consider other ways to pull traffic into your site. I will be doing a whole series of “Social Media & Blogging Tips for Writers.” I think you could most benefit from a successful integration of Facebook and Twitter to crosspromote your blog. Let me know if there’s any specific topic you’d like to have covered next week. There’s an option within Blogger accounts to buy a domain name. It’s $10 a year. Google sells you the hosting and I think it’s actually through GoDaddy. Anyway it works fine. You just pay the $10 a year and do everything through the blogger user interface. Your blog and all its pages will have the url of whatever domain name you obtained. Now, you can also use the blogger publishing platform and publish it to a site you already have and it can be hosted anywhere. Last I knew, this route did limit some of the design and function available through Blogger. It’s best to just buy a domain through blogger. Easy, cheap, and can look perfectly professional. I actually use both Blogger and WordPress and I agree that they compare evenly. Their strengths and weaknesses balance out. Thanks for clearing that issues up. My domain name with WordPress was $25 (and that included a $7 protection plan). In the end, I have to prefer WordPress for my personal use, that’s the platform that first taught me how to blog. BlogSpot came later and just doesn’t share the same sentimental value. One criterion I forgot to analyze: Mobile agents. The free WordPress app for Droid is incredibly functional and easy to use. The app for BlogSpot is a joke–the only thing you can do is write a new post. For WordPress you can check various stats, respond to comments, view posts and pages, view a mobile version of the site. This is again like the Spellcheck issue. WordPress is so so far beyong what BlogSpot has to offer! Having used both BlogSpot and WordPress I’ve moved to Hosted WordPress option (WordPress.org vs. WordPress.com). While this entails paying for hosting, it does give a much wider array of features. The hosted version of WP is similar to the version on the WP site, but it allows for a great many more (and different) plugins (widgets), it allows advertising–valuable if you’ve got the traffic to support it–and even better, allows you to use any number of free and paid WordPress Themes that are unavailable on wordpress.com. Now, to be fair, I’ve got a vested interest in WordPress as I teach blogging and author platform building using WordPress as a basis. Thanks, Richard. If you think you might be able to write a guest post about WP.com vs WP.org, I’d love to have it. I offer all of my contributors their own page within my site under the “Contributors” tab and am always looking for great minds to contribute. Plus, I’d really like to learn more about this issue myself. I see you also host guest bloggers–I’d love to do an exchange. I’d be delighted both to do a guest spot on your blog, and to host you on mine. As you will have seen, Uphill Writing is writing about writing. I’m thinking that anything you find interesting would interest UhW readers. I’ve visited UhW and have subscribed via Networked Blogs. What kind of post might you like to see from me? 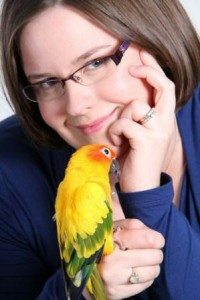 Do you think you might be interested in featuring my 11 tips for better blogging in 2011–that seems to be the favorite on this site. I also have a whole host of writing advice under the “For Writers” tab. I’m just starting out blogging and went with weebly because a friend had it, but not many people use it. Has me wondering if I should switch. Thanks for the blog. I look forward to more info. Very informative article. Def going to check out wordpress. Like the debate. I’m on blogger, now that I’m trying to establish my writing presence. I used WordPress first with another blog. At this stage, I’m still figuring things out, and consume as much information on how to link all the social networking tools. This is a really fun new site, so be sure to check it out! One thing that drives me nuts about Blogspot is that it can be so slow to scroll through. I guess it’s all that Flash people load it up with. I also hate the word verification thing and the fact that it takes more than one click to post on some blogs. People should make it as easy as possible for commenters! You’re right, Lisa. That contant recaptcha-ing is annoying! Also it’s easy to follow blogs on BlogSpot, but I think that new followers are less likely to check in with these blogs. In WordPress, you get an email each time, there’s a new post (until you deactivate via the dash). No reminders at all for BlogSpot posts! Commenting is one that should be added in there. WordPress allows for inline commenting, blogger does not. Winner: wordpress. I’m struggling with making the move to wordpress for the professional feel, but I’m agonizing over having to learn a new system. I LOOOOOOOOOOOVE that blogger is point and shoot. Great for a non-techy person. I went directly to WordPress because it was recommended at a Writer’s Digest Editor’s Intensive that I attended a couple of years ago. The system does take a bit to learn but once you have it down, it’s simple and elegant. Their layouts are fantastic and I’m extremely proud of how my site has turned out. Love WordPress! I prefer wordpress but my blog is already on blogspot and with the ease of connecting to g-reader and friend follow via google apps I’m just going to stay put. I still haven’t quite managed to settle on a look that I like though, none of the templates work for me. Thanks for the good information you guys have made between the difference with wordpress and blogspot.I have learn a lot of lesson from your explanation respectively.